The Communion Veil: And The Heavens Opened.. The Saints are in attendance, looking down from heaven, so happy that the Holy Mass is being offered for us. I have seen the saints looking down from heaven, smiling, so happy for us. I have seen the angels before the throne of God taking the Holy Body, Blood, Soul and Divinity of our Lord Jesus Christ in the Holy Eucharist to the Father in propitiation for us. As Jesus our Lord poured everything out for us on the Cross, so does the Father pour out himself to us in the Holy Mass in an expression of love and mercy that cannot be understood while in the flesh. One Holy Mass benefits the world more in 30 minutes than would a prayer from every person on the planet at that very moment. Because the Holy Mass is where the Heavens are opened with a direct line to the Throne of God the Father, the Holy Mass is the GREATEST EVENT THAT HAPPENS ON THE EARTH. If the Holy Mass were never to be celebrated on the earth again, then this gift of the heavens being opened would cease and the world with it. The Holy Mass is the greatest expression of love on the earth until our Lord comes again. So even though the Church does great social and charity work, but the greater work is to have Holy Masses celebrated or offered for the dead or for those living who are in a state of grave sin. Yes we should feed the hungry, but to feed the body is temporary, the Holy Mass feeds the soul with the bread of eternity. 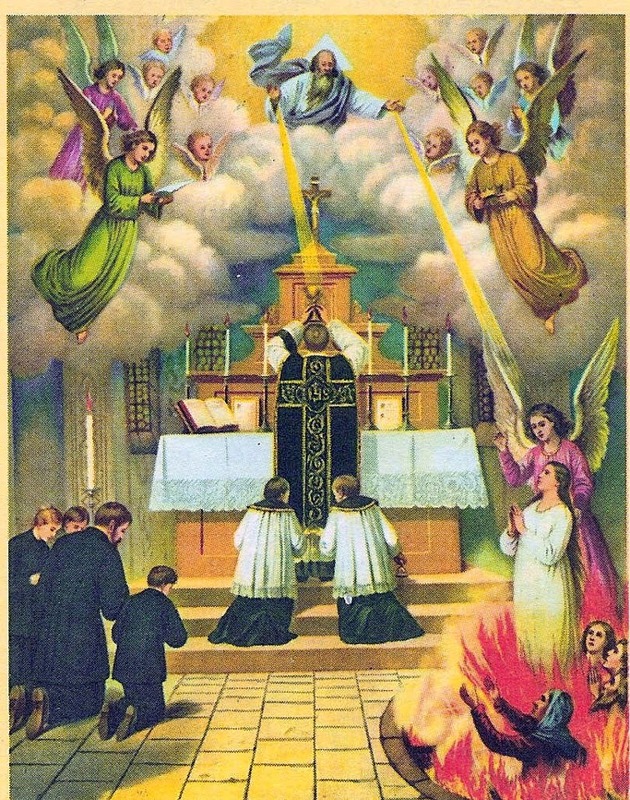 The Holy Mass is the front line in the battle for souls, for by having access to the Throne of God in the Holy Mass, we have a responsibility to seek the salvation of our brethren. We are Catholic, and by the gift of the Holy Mass and Eucharist we are called as our brother's keeper, pouring out ourselves upon the altar and begging the Father before His throne for those who are not in attendance at the Holy Mass, and will probably never be. 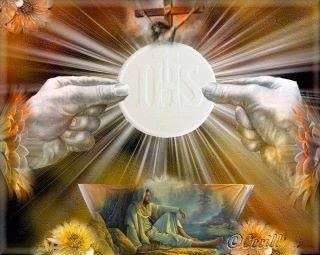 We go boldly before the Throne of God pleading for them, and also taking Holy Communion for them. This is when the demons run. 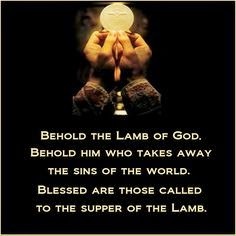 Once at Holy Mass, the demons where attacking me and when the Priest held up the Eucharist and said "Behold the Lamb of God...", they left me immediately and I was at peace. They do not like to be in the presence of the Lord truly present in the Eucharist, especially after the Priest breaks the Eucharist because this reminds them of their defeat 2000 years ago when Jesus went to the cross. What would you ask of God the Father if you were able to stand before the very Throne of God and yet still be alive afterwards? You have this opportunity every day, just find where the Holy Mass is being celebrated. Many souls go to hell, go daily to Holy Mass, pray the Rosary and plead to God for the lost. How there can be no comments is a profound mystery to me. Mass is central to all that is.